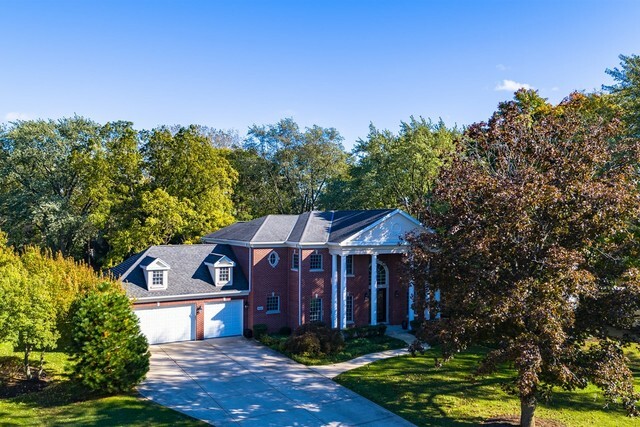 Custom estate located on one of the most sought-after streets in Arlington Heights with wonderful views of Rolling Green Country Club. Gorgeous open kitchen to family room, huge granite breakfast bar, granite butler's pantry with refrigerator drawers. Basement is to die for. Huge granite bar, dishwasher, theater room, family room, 5th bedroom, and full bath. Master bedroom with his & her closets, master bath w/steam shower, Jacuzzi Tub. 2nd-floor laundry. All BIG bedrooms. House generator, zoned HVAC, surround sound on 1st level, basement, master bedroom, and patio. Solid 6-panel doors throughout. Granite mudroom into your heated 3-car garage, plus your own golf cart. Huge patio overlooking gorgeous .7-acre yard. Too much to list.